After we conduct a workshop or retreat, we are often asked how one might go about building on these skills and talents with others in their local area. We envision a world where Soul Force Politics #RadicalLove chapters are created in communities all across the country to engage and support each other in putting radical love principles into action. • Invite friends to a regularly scheduled meet up (like a book club). You can use our #SoulForcePolitics podcasts as a starter point for conversation. Agree to listen to a particular podcast and gather to discuss questions and explore topics raised in that episode. • Join our Soul Force Politics #RadicalLove Discussion Group on Facebook (or start your own) to connect your chapter and create a space for questions, comments, insights, and shared ideas. • Use our guide for conversation topics to help you get started. • Schedule a Soul Force Politics retreat in your community or invite your group to visit the Camp Soul Force Politics’ retreat center at Apotheosis Farm — inquire at firestarter@mizmaryland.org to schedule and invite Heather Mizeur to facilitate. Review scheduled retreat offerings on our home page’s “retreat” button. 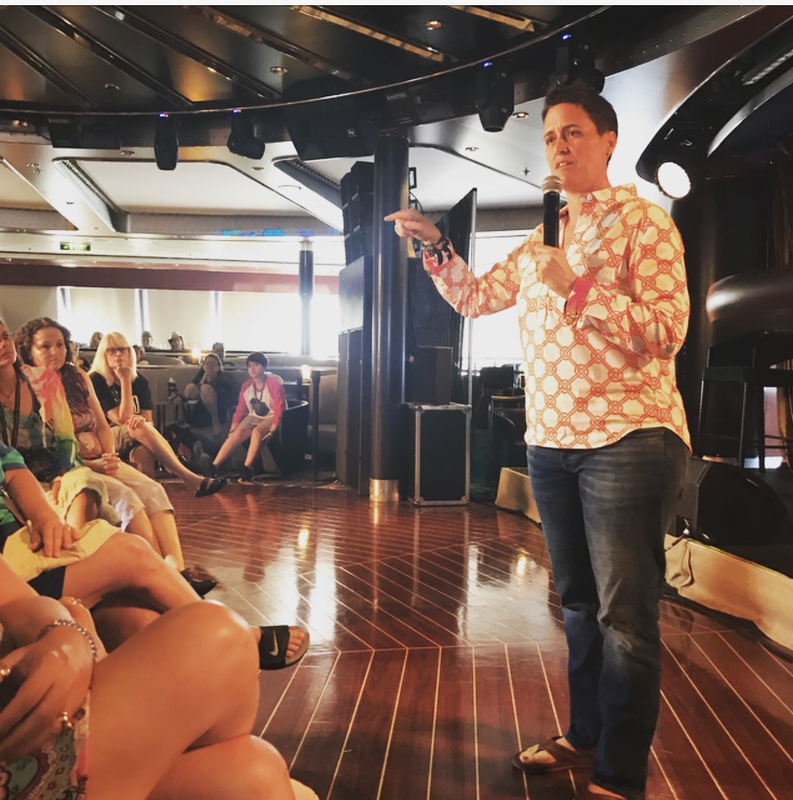 • Invite Heather Mizeur to speak to your group and/or offer a livestream video to kick off your activities. • Other activities that could support a #RadicalLove community group include: nature walks, meditation sessions, potlucks with healthy food for the soul, sound baths, and ceremony of all types that are used to connect and heal each other. ⁃ How can I improve my mindfulness and observation skills to guide my choices? ⁃ Do I honor my power by pausing before I choose a response? ⁃ You are a reflection of me. What is it that I am rejecting? ⁃ What are your values? How can I better understand your perspective? ⁃ I cannot love anything externally in the world if I am not first filled with self love. ⁃ What negative self talk keeps me from loving myself fully? ⁃ Can I see the ways that I am not loving myself when I am not loving you? ⁃ Compassion is an ally in radical love. ⁃ It is hard to be angry when we are filled with gratitude. ⁃ Sharing a gratitude practice with someone creates a common connection. ⁃ For what are you most grateful? ⁃ We create our world with our words. ⁃ What intention is behind our creative force? ⁃ Are we bringing awareness to the power of our ability to create? ⁃ What do we create from our light? From our darkness? ⁃ Every moment gives us an opportunity to practice our power of choice. ⁃ Do we respond with love or fear? ⁃ How might I improve granting my love to others without conditions? ⁃ The sky needs the darkness to create rain; the cosmos needs darkness to shine the stars; the sun needs the darkness to reflect its light off the moon. ⁃ Our wholeness of being requires us to love our light and our darkness. ⁃ However, loving our darkness does not mean we act out upon it. ⁃ How does the observation of my darkness empower me to make choices based in love? ⁃ We tell ourselves many stories that are not true, including ones that limit our power. ⁃ What do I currently view as impossible in my life? ⁃ How might my world be different if I acted with the confidence of possibility? ⁃ Do I honor my ability to manifest and co-create? ⁃ What are my limiting beliefs?